Some of the band members with the silverware! 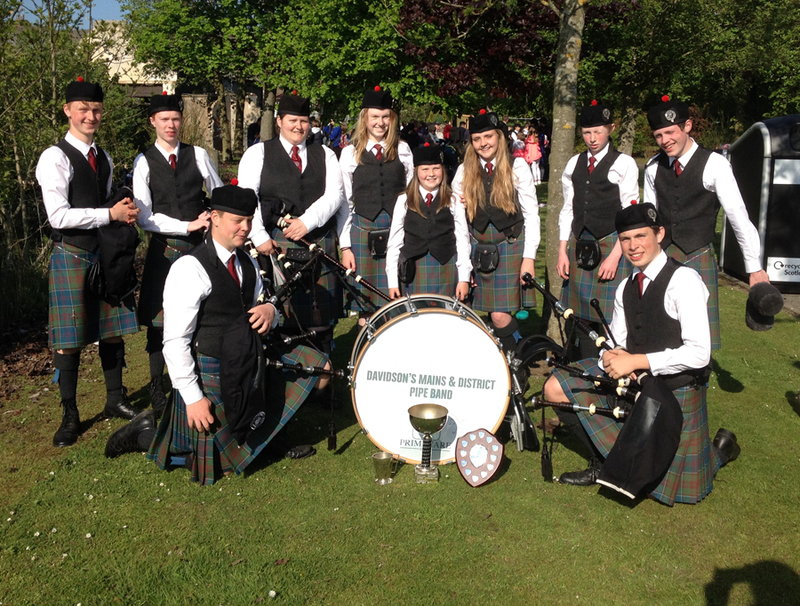 Last weekend the band had a successful day at the Bathgate Highland Games finishing in second place in the Grade 4 competition. This came on the back of a good result at Dunbar were we finished 5th out of 14 bands (1st place for Drumming) and a strong performance at British championship. We are now looking forward to the next event which is the European championships in Forres.